Clean Water Action has a long and successful history of supporting candidates who are committed to protecting our water, public health and our environment. We're committed to making democracy work which means electing clean water leaders and engaging as many people as possible. If 2016 taught us anything, it's that elections have consequences and we need to elect new clean water leaders to represent us in Washington. and St. Paul. We are currently in the process of evaluating candidates and will endorse the candidates who will best represent us and our priorities. You can vote early between now and November 5th or in person on Election Day, Tuesday, November 6th. All of the information you need to make a plan to vote is below and on the Secretary of State’s website. Interested in helping Clean Water Action elect environmental champions? Contact Jenna for volunteer opportunities using the form below. U.S. Congressman Tim Walz is currently serving his sixth term representing Minnesota’s First Congressional District and is the highest ranking enlisted soldier to ever serve in Congress. Walz serves the people of southern Minnesota on two committees in the United States House of Representatives. He is the Ranking Member on Veterans' Affairs and serves on the Agriculture Committee. He also serves on the Congressional-Executive Commission on China and has leadership posts with the National Guard and Reserve Caucus and the Congressional Veterans Jobs Caucus. He has served on the past two Farm Bill conference committees. Walz enlisted in the Army National Guard at the young age of 17 and retired 24 years later, after serving as a Command Sergeant Major in the Minnesota National Guard. Walz went on to become an award-winning high-school teacher, champion football coach, and a leader in Congress. Since his election, Representative Walz has been recognized for his work with awards from AMVETS, the National Association of County Veterans Service Officers, the American Cancer Society, the National Association of Development Organizations, the National Farmers Union and the Matthew Shepard Foundation. In 2017, he received the Harry S. Truman Award, presented by The National Guard Association of the United States (NGAUS). Tim knows that creating a sustainable future does not require picking winner and losers, it requires teamwork. Combating climate change, protecting our lakes, rivers, and streams, and building an environmentally just Minnesota is possible if every Minnesotan has a seat at the table and has the opportunity to have their voice heard. Tim recognizes that more often than not, environmental issues are framed as issues that divide us, as governor, he will work to eliminate false divisions so both parties can work together to create solutions that will protect Minnesota’s natural resources and public health now and for future generations. In Congress, Tim worked to reduce greenhouse gas emissions and protect our public lands since his first day in office. As governor he will continue to address threats to the quality of our environment by; expanding the Renewable Energy Standard, reduce carbon emissions, work with farmers on clean water solutions, and follow Minnesota’s stringent environmental review processes when considering new projects. 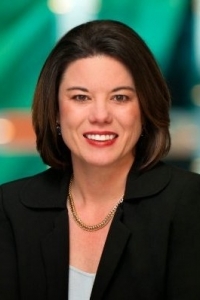 Angie is a former executive at St. Jude Medical, a medical technology company near St. Paul. She narrowly lost to Jason Lewis in 2016 in a nationally watched contest, and earned the DFL's endorsement to take on Lewis again. In Congress Angie will fight to protect clean water, support investments in renewable energy, and work to modernize our laws to keep pace with current health science and get toxic chemicals out of our homes and the products we use every day. 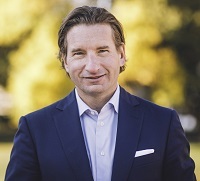 Dean Phillips is a fiscally responsible, socially inclusive entrepreneur and father who is inspired to represent Minnesota’s Third Congressional District with a strong, independent voice of reason, a focus on new ideas, and a commitment to principled and courageous leadership. Dean believes that it’s time to accelerate our transition to a clean-energy economy, reduce our carbon footprint, and preserve our planet for future generations. He walks the talk - Dean drives an electric car and uses geothermal energy to heat his home. Ilhan Omar is an accomplished legislator, policy analyst, community organizer, non-profit leader, public speaker, board member, youth mentor, and human rights advocate. Ilhan worked as a community educator at the University of Minnesota and has been a devoted progressive activist in the DFL party for many years. Before running for office, Ilhan was a Humphrey Policy Fellow and served as a senior Policy Aide for a Minneapolis City Council Member. In 2016, Ilhan became the first Somali-American, Muslim legislator in the United States when she was elected to the Minnesota House of Representatives in District 60B. Ilhan knows we need bold action, and a transformation of our political and economic systems to combat climate change. If elected to Congress, she will; support the legislation like the Off Fossil Fuels for a Better Future Act (OFF Act), which would put us on a path to 100% renewable energy by 2035 and the Keep It in the Ground Act, which would prohibit new extraction on fossil fuels sitting below federal lands and water. She will also support investments to expand access to renewable energy, support restoring the Clean Power Plan, and will work with local communities to oppose projects like the Line 3 Replacement Pipeline, PolyMet and Twin Metals mining projects. 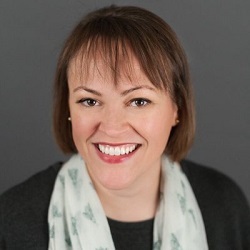 Dr. Alice Mann is a board certified family practice physician currently serving patients at Northfield Hospital’s Lakeville Family Health Clinic and Northfield Hospital’s Emergency Room. Alice attended Meharry Medical School in Nashville, Tenn., and completed her family practice residency at Mayo Clinic Health System in La Crosse, Wis. In addition to her medical training, Alice also graduated with a master’s degree from the Johns Hopkins Bloomberg School of Public Health. One of her passions is volunteering and providing medical care to impoverished populations around the world. She has worked in Tanzania, Mali, Nicaragua, Haiti, Brazil, Zimbabwe, and recently provided medical care at a Syrian refugee camp and cared for people affected by Hurricane Maria in Puerto Rico. If elected, she hopes to work on bipartisan policy that improves healthcare and education. Dr. Alice Mann knows how important it is to protect the quality of our environment and public health and would stand up to polluters that put it at risk. Sign up to volunteer to elect environmental leaders!